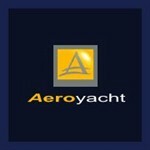 To complement the AEROYACHT 110' luxury high-performance catamaran - a larger 125' version will round off the model range. This supercat is presently in the conceptual design stage and as her smaller sister is a joint design venture between Aeroyacht International founder Gregor Tarjan and the renown naval architects Morrelli & Melvin. This listing is for a new semi-custom build with approx 32 months delivery from date of order. Similar to the sleek Aeroyacht 110' catamaran, the 125' version will be a strikingly beautiful sailing yacht that will be able to sail at more than 32 knots without heel. Although a thoroughbred racing yacht she will not compromise on a luxurious interior featuring one owners loft with 4 VIP suites. She will be designed for a crew of up to 6, have a very large cockpit on the same level as the main saloon and a private forward loggia. Twin steering stations will be located on a semi-flybridge. As standard equipment the Aeroyacht 125' catamaran is equipped with a personal exploration airplane: The 2 seater Icon A5 amphibian sports-plane will be launched and retrieved from a specially designed pod and can be used for sightseeing, shuttling guests to the yacht or in case of medical emergencies.